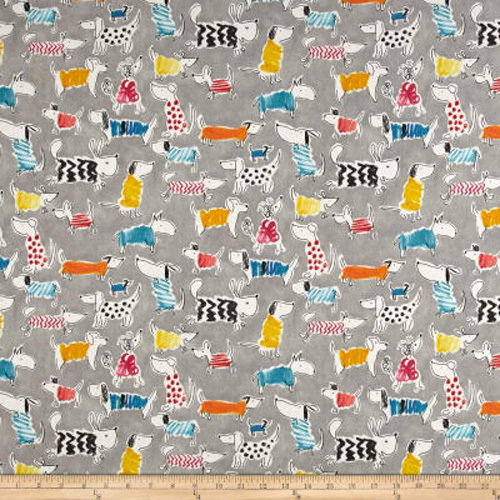 Waverly Adogable home decorating fabric in the Peony colorway. 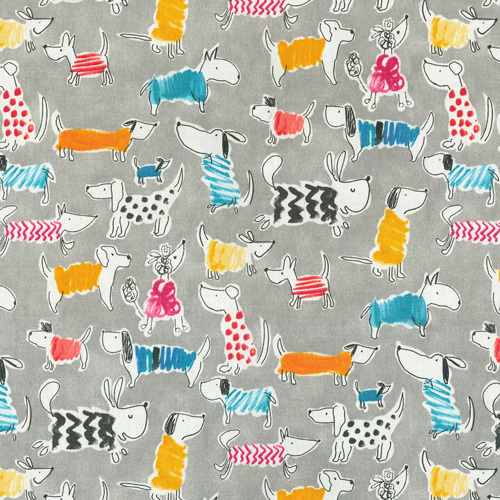 Puppy themed print in yellow, orange, pink, blue, red, white, and black on a grey background. Suitable for drapery, decorative pillow covers, headboards, crafting or upholstery.